Are you looking for shortcuts to get a massive growth to your online business? While others take the long way, you can take advantage of available tools and resources to simplify the overall process and do your work in a smart way. I think this article can be worthwhile for many website owners, internet marketers, business owners and bloggers to achieve explosive growth. Within the last 3 years, I have used hundreds of tools. Most of them haven’t worked well for me. I have learned a lot and have collected a group of tools that I rely on. Some of these tools are free while others are paid. 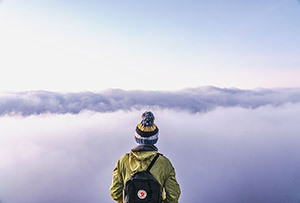 Premium tools will give you more chances to succeed in the marketing world, so don’t eliminate a tool from consideration just because it is not free. 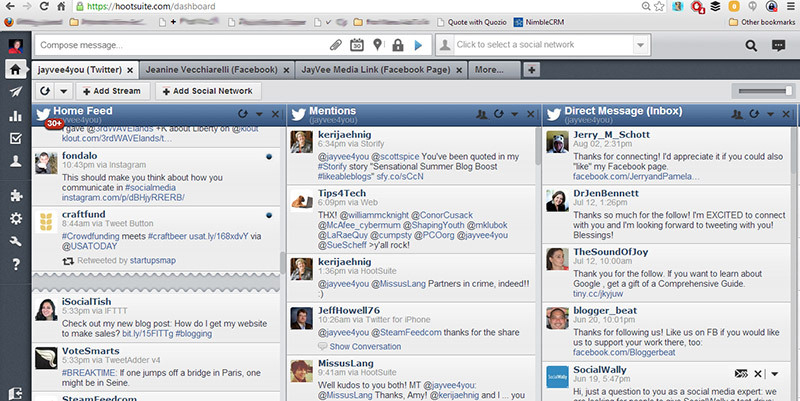 HootSuite is one of the most advanced social media management tools that I have ever used. It is great for companies and web masters to manage a lot of social media networks for different customers, or for just managing your own social profiles. You can review all your posts on all social networks in one visual format, monitor your campaign analytics and schedule posts for a specific time and date. The advantage to access many social networks like Facebook, Twitter, LinkedIn, Instagram, Foursquare, WordPress and Mixi. Great interface where you can organize and allow users to engage into social networks. Unique app library. 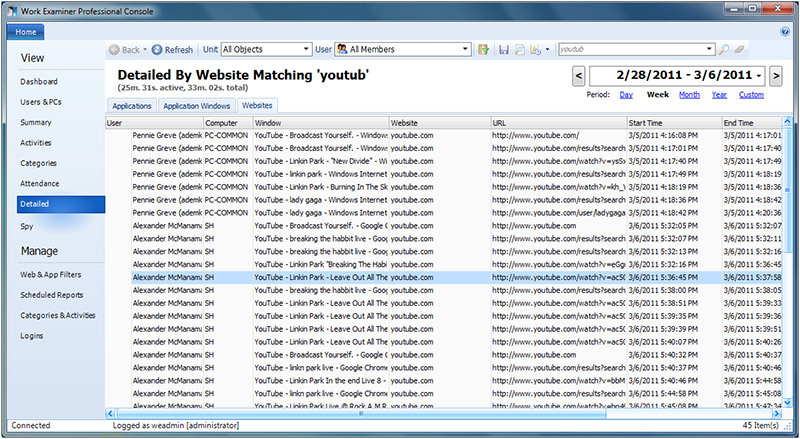 You can access to more than 100 apps to track social networks and sites. SE Ranking is a great SEO software that helps to monitor daily changes of your website rankings and of your competitors, track backlinks, get a detailed website audit tool, and manage your semantic rankings with the keyword suggestion tool. 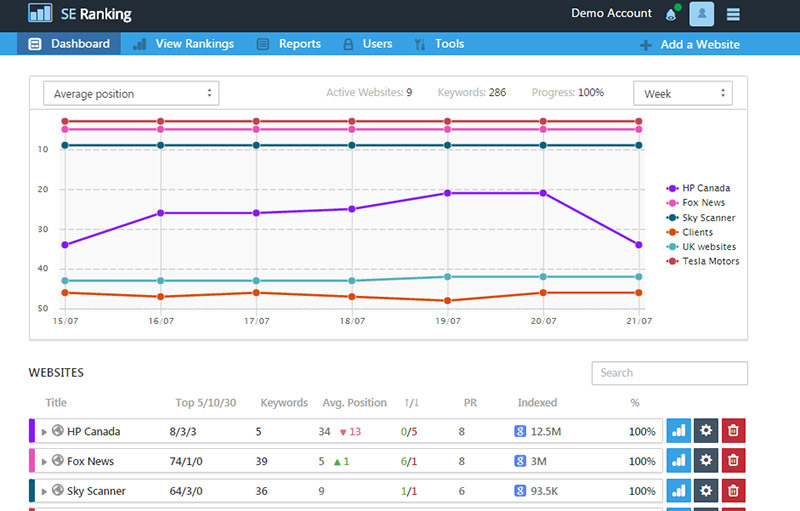 You can easily review your analytics and traffic in one view. A great option to integrate with Google Analytics and Google Webmaster Tools. Good-looking interface. It is simple to navigate the dashboard and view all main sections you need. The variety of reports. You can make manual and automated reports with your brand name and logo with the possibility to export in .pdf, .csv, .html and .xls formats. Free apps for Android and iOS. I love the Android app. I can monitor my website rankings at any time wherever I am. If you want to track any mentions about your business and yourself online, Mention will be the best tool to handle this task. It never misses conversations about you with potential and current clients. I have been using this tool for 2 years and I am so satisfied with the results. You can try it out for free for 14 days, but to get more info about you and your competitors you should get the premium version. Great variety of tracked resources. I know you can use Google Alerts for free, but it is only for news, Mention tracks all websites, forums, blogs, social media networks and etc. The ability to collaborate with your team. Detailed statistics and exportable data. 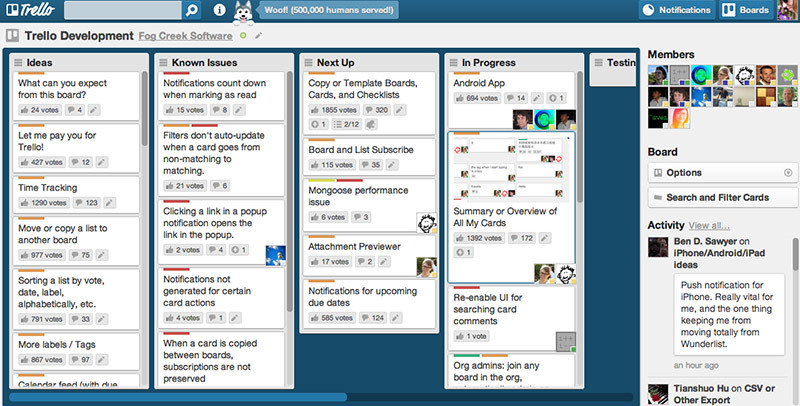 Trello is a great project management tool that helps to simplify your work. It is perfectly designed for both freelancers and SEO agencies to manage a large number of projects. It is easy to use, create boards for your projects and record your progress on each task. Fantastic team management. You can easily plan your projects within the month and get an option to divide tasks between clients and view workload on each project. Instant notifications. As soon as someone has added a card, you will get alerts about it. You can make comments on each card, attach and upload files. Transparent and user-friendly project management system. The entire team can use it daily, track all changes, comments, view the overall process and estimate the project’s effectiveness fast. Dropbox is the best cloud-storing tool. You can access your files wherever you are at any time and all members of your team can view and edit them. It is useful to access files when your team is located in different locations. It is also an easy way to share files with your clients. Capacity. 2 GB of storage capacity is quite a lot for staff. Easy sharing. You can share files both with public or individuals, invite friends, send fan emails and connect the tool to FB and Twitter. Back-up. You should not be afraid to lost files as you back up them in a safe and easy to access place. Google Drive is a good free online storage to share files, videos, photos and resources. In comparison with Dropbox, the storage limit of Google Drive is free and huge up to 15GB. You can add an unlimited number of users, create files in the Drive and send them in the Drive. Make sure you have the Gmail account to use Google Drive. The access remotely to your files. The option to open the various types of files like Adobe Illustrator, .psd. Its own mobile application to access your files on any smartphone or iPhone. Infographics are a great way to get much traffic on your website. Don’t you think so? I guess there is no reason to spend much money on creating good-looking infographics and have any special design skills. Piktochart is a fabulous simple program to create design-worthy infographics. You can store all your works in one account and edit them at any time you need. You can try it out with a free package, but you can upload only 20 images and use a limited number of templates. I prefer the paid version at $29 per month and get the full benefits including 200 images, icons and privacy controls. AWeber is a great email marketing software that easily helps to manage your email marketing strategies and mobilize your target audience to take action. I used this tool for two years and I can just say it is a great tool for me within these couple of years. Easy-to-use tool. You can run and manage your email marketing campaigns yourself. Customizability. It has over 150 professional templates. You can decide which one is appropriate for your needs. If you want to make your own email templates, you can do that as well. Amazing deliverability. Aweber handles this task. It has a high credibility and analyzes email campaigns for spam issues. I run a bunch of various projects and a team that works on those projects. To achieve productivity and effectiveness, it is important to estimate the team’s activities and how much time they spend on it. WorkExaminer helps me to monitor employees’ activities remotely, estimate what programs and apps they use, how much time they spend on each task and gets a detailed review of what employees do on the Web. Google Analytics is valuable and necessary for tracking the traffic results of your websites. It is a free and provides accurate data. There are lots of handy graphs to review how your website traffic goes up and down in order to better get the methods that increase traffic on websites. There are many details about subdomain tracking, event-based conversion tracking, custom variables and filters. The ability to customize the greater website exposure. You can add some changes to your website, interesting images or graphics to make your website appealing for your target audience. The evaluation of traffic flow on your website. The tool is useful to find different sources of traffic that comes to your website, find links, keywords and analyze the results of your email marketing campaign. Easy to reach other tools. I love to export data and get automated reports via Next Analytics. There are many ways to automate reports. With this list, I can’t help but I think I’m still forgetting other important tools. I have just mentioned those tools that I have been using the past 3 years. They help me to notice how my marketing is always evolving and changing and gives the positive results. What is about you? What are your must-have marketing tools? Let me know what you use and love. Irina Weber is a blogger and marketing manager of SE Ranking. She creates and develops new marketing campaigns, writes articles about online marketing, social media, conversion optimization on popular websites like Jeff Bullas, WordTracker, Onblastblog and runs her own blog on SE Ranking. If you get any questions, you can reach her on Twitter.